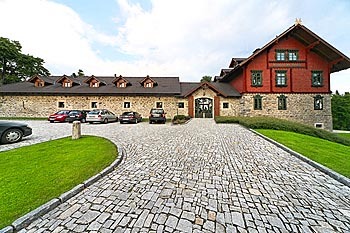 The Hotel Svaty Tomas - Saint Thomas is situated in a well-preserved part of the Bohemian Forest on the right bank of Lake Lipno, nearby the austrian border. 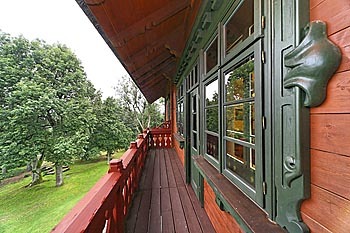 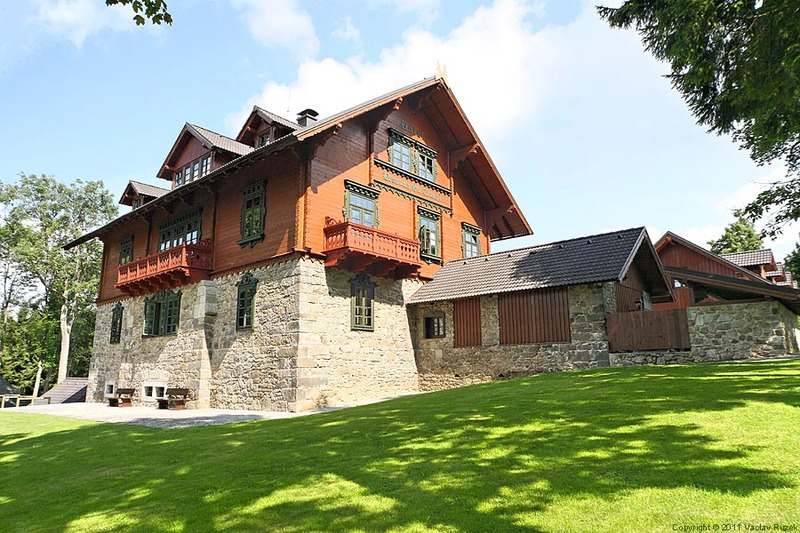 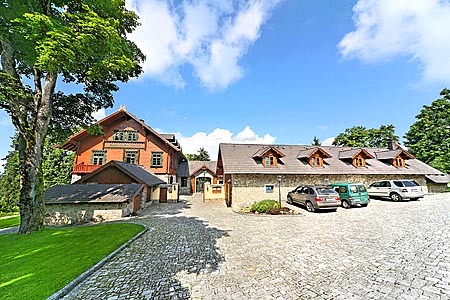 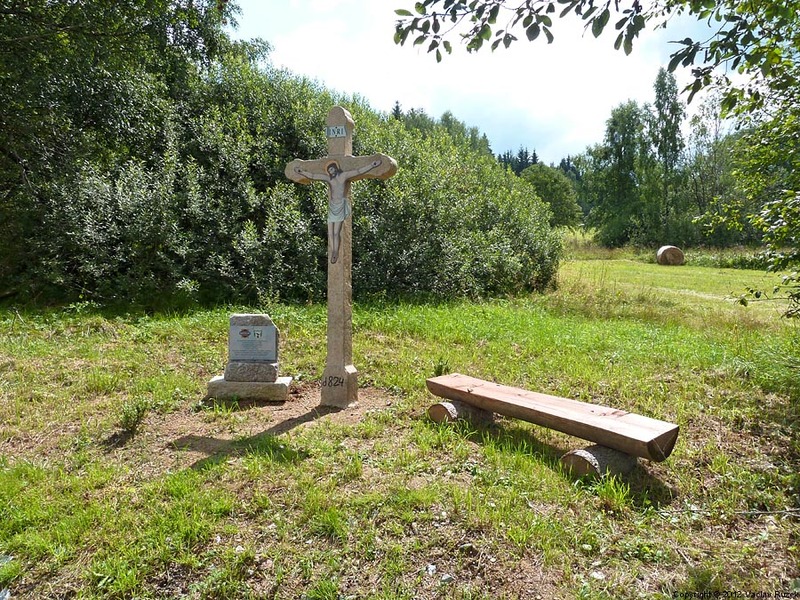 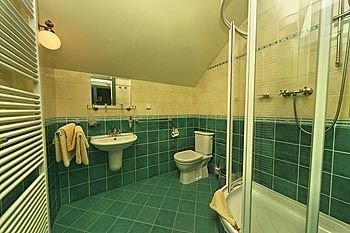 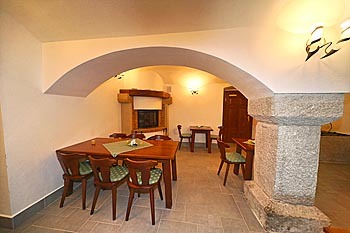 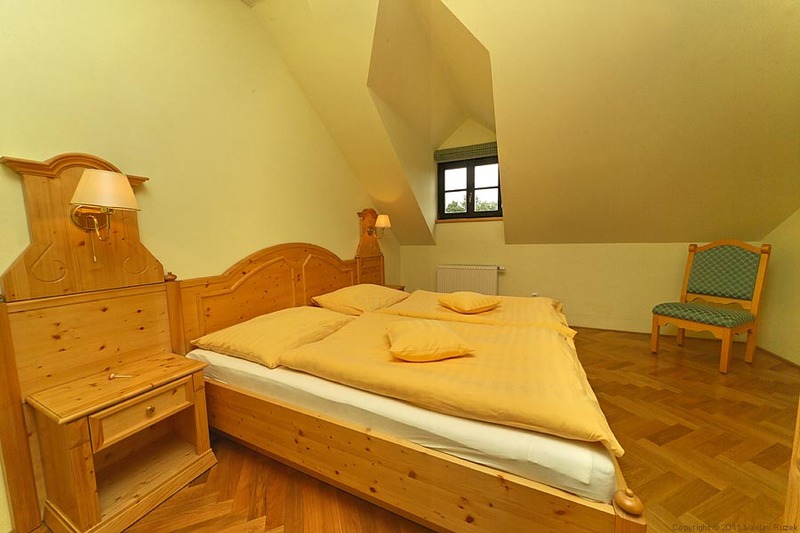 It offers above standard accommodation on the property of a former Schwarzenberg gamekeeper’s lodge from 1872. The manor was carefully reconstructed in 2003 - 2005 and nowadays it functions as a mountain hotel. 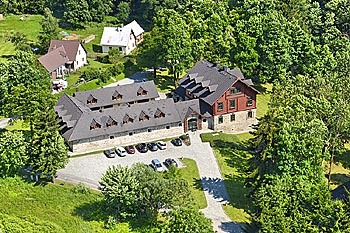 The building has been ranked among the national historic landmarks by the Ministry of Culture of the Czech republic. 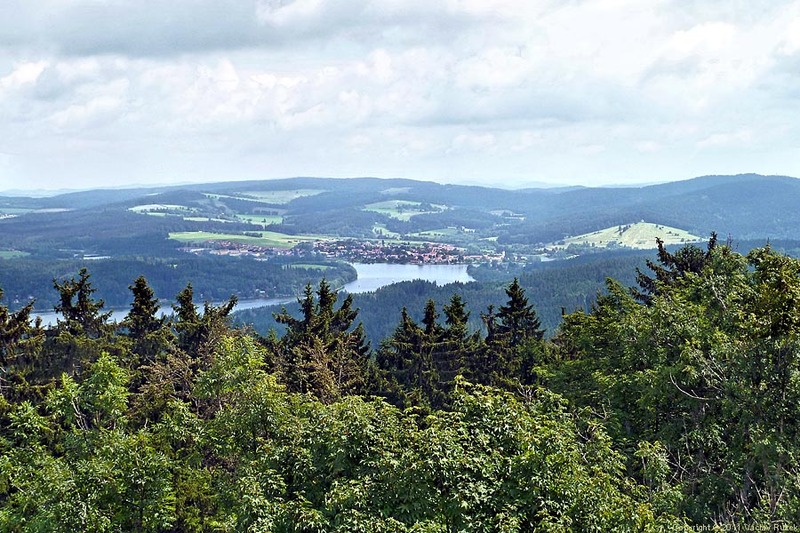 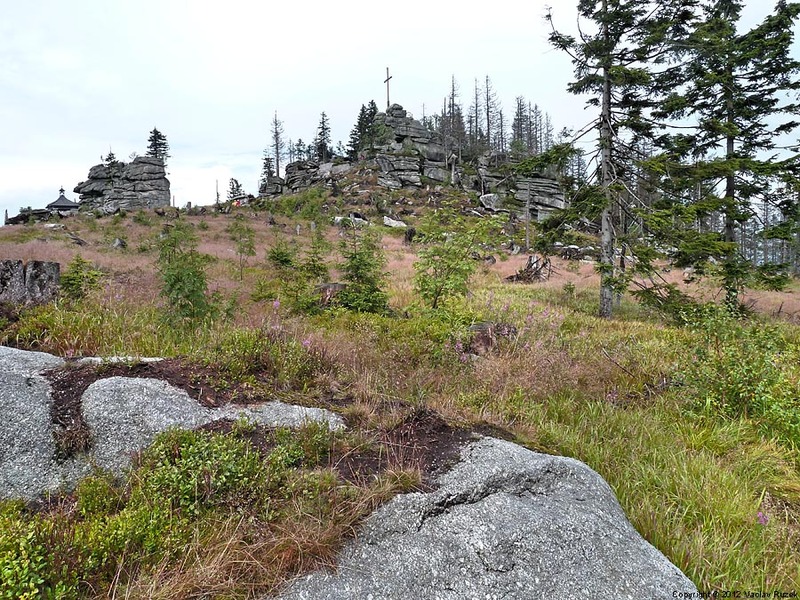 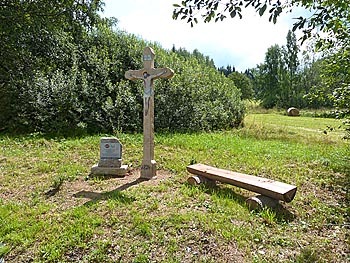 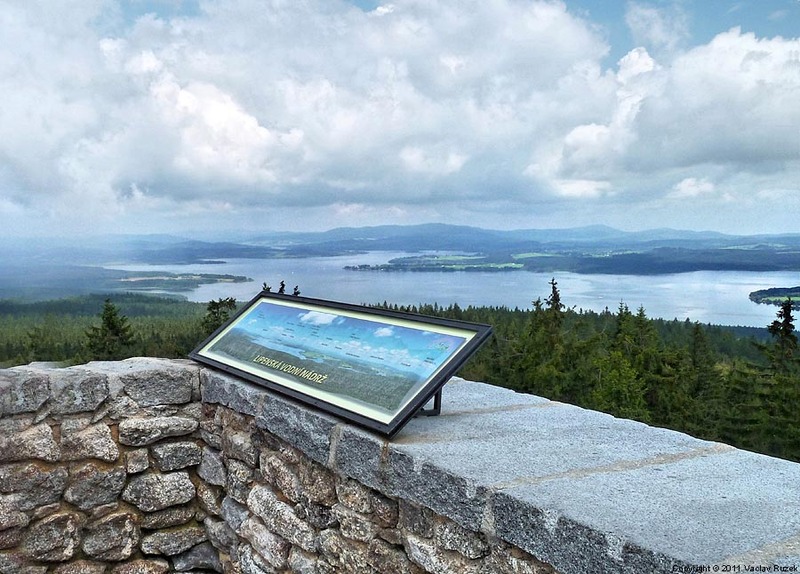 This part of the Bohemian Forest, which was nowadays a frontier zone forming the iron curtain between the west and east of Europe, is one of the most-preserved recreation areas in the Czech republic. In winter, in the surroundings of hotel there are many cross skying tracks and snow shoes paths. 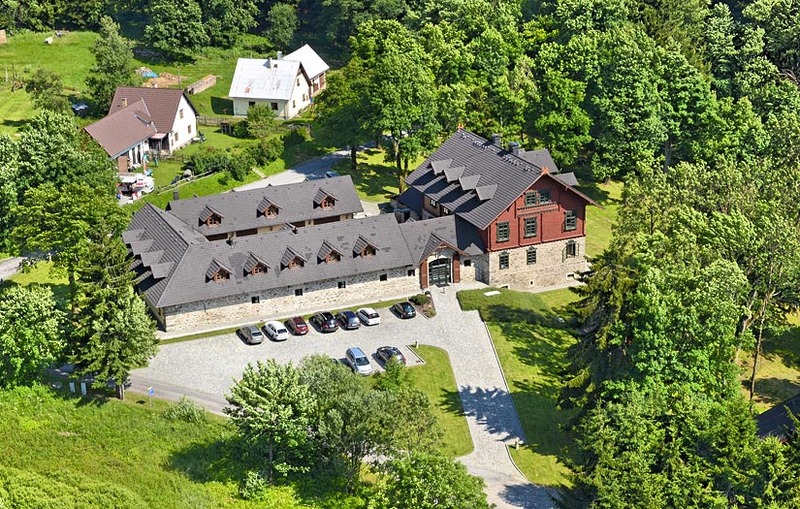 For all the rest of the year it offers plenty of trips using perfect Czech system of pedestrian marked paths or cycling paths. 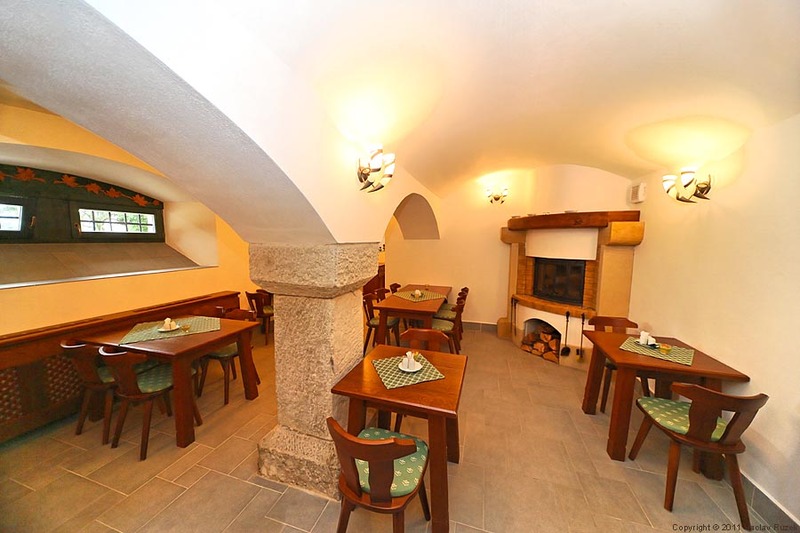 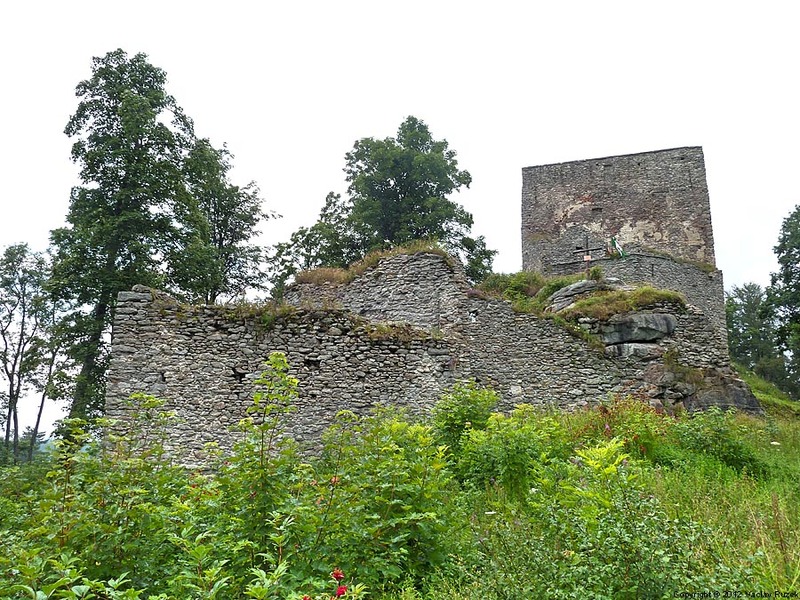 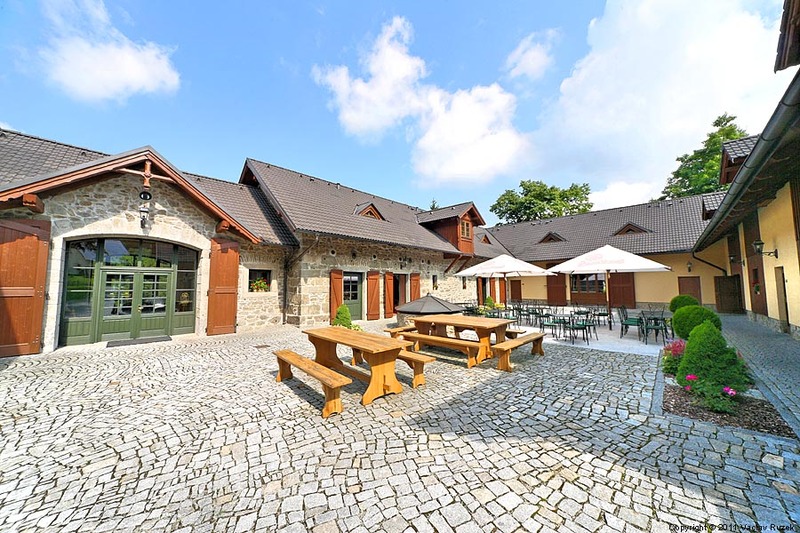 The Hotel St.Thomas is in the altitude of 970 meters above sea level, below Vitkuv Hradek (Wittighausen) - a charming ruin of a castle from 13th century. 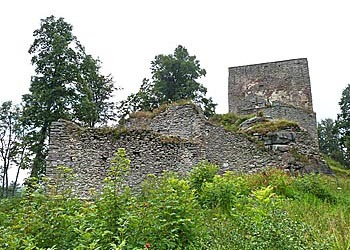 This castle was inaugurated after demanding reconstruction in 2005, at the occasion of the 200. anniversary of the poet Adalbert Stifter. 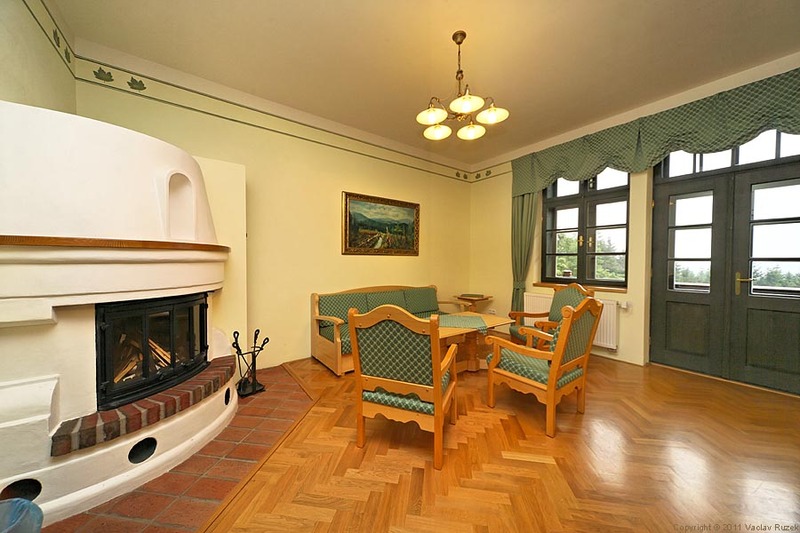 The project was called "Vitkuv Hradek - symbole of mutuality" and the goal was not only the renovation of an important cultural landmark, but also forming a place for meeting of three nowadys divided nationalities - Czechs, Austrians and Germans. 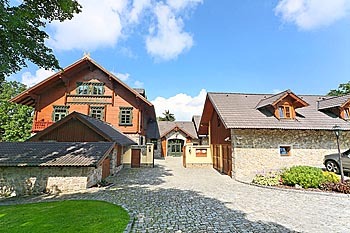 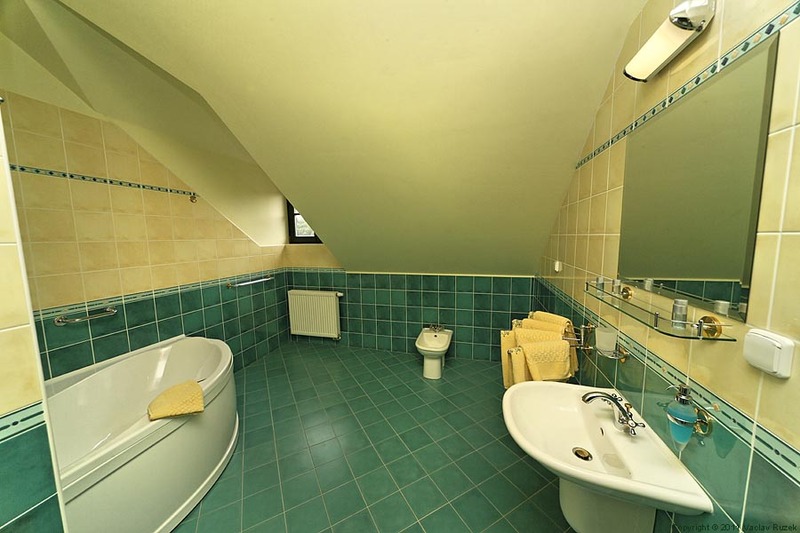 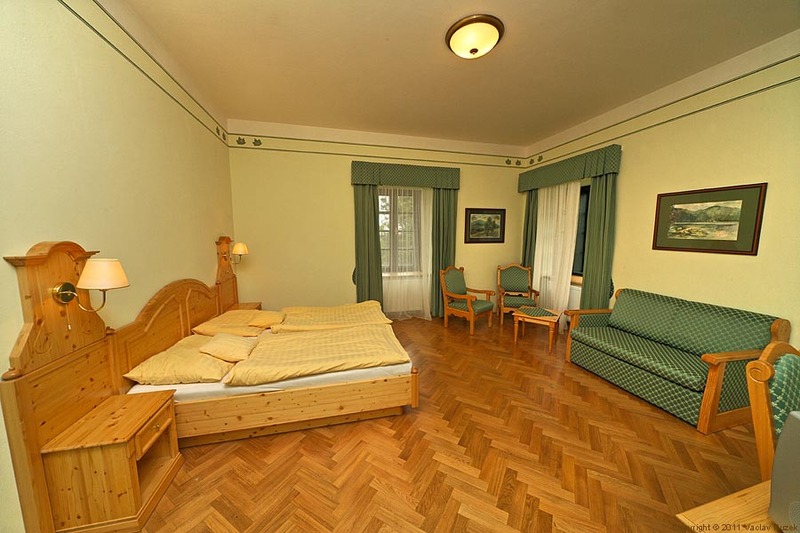 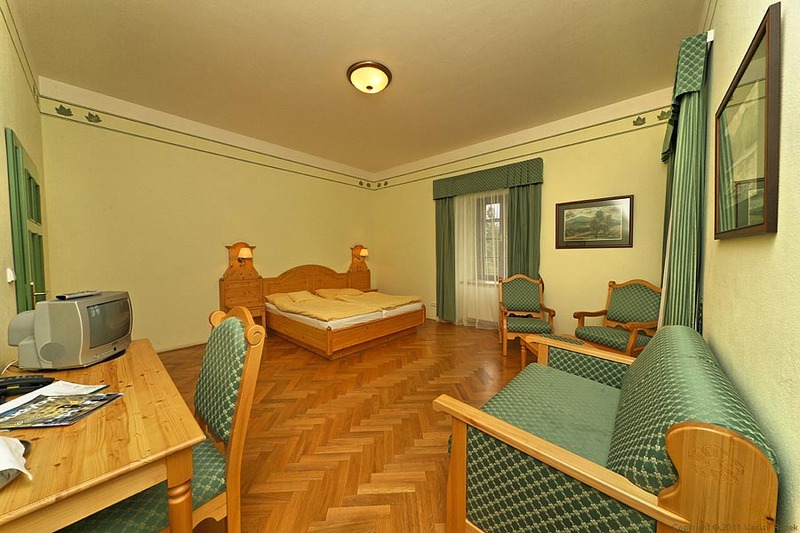 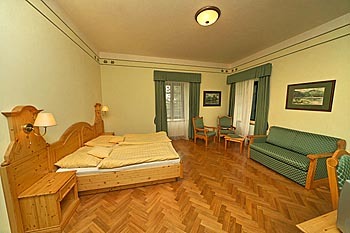 The Hotel Svaty Tomas - Saint Thomas is a former Schwarzenberg manor, built in the Swiss style in 1872. 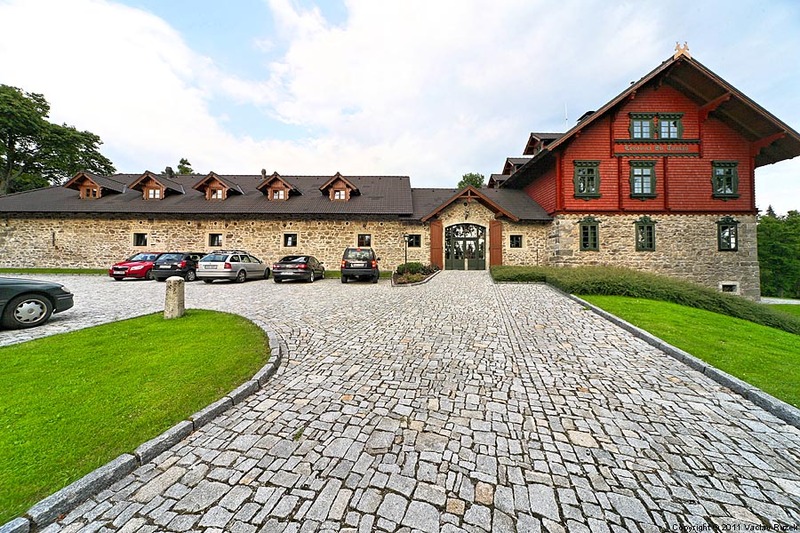 It is formed by four back-to-back buildings which create a rectangle shape courtyard. There is a summer restaurant in the square. 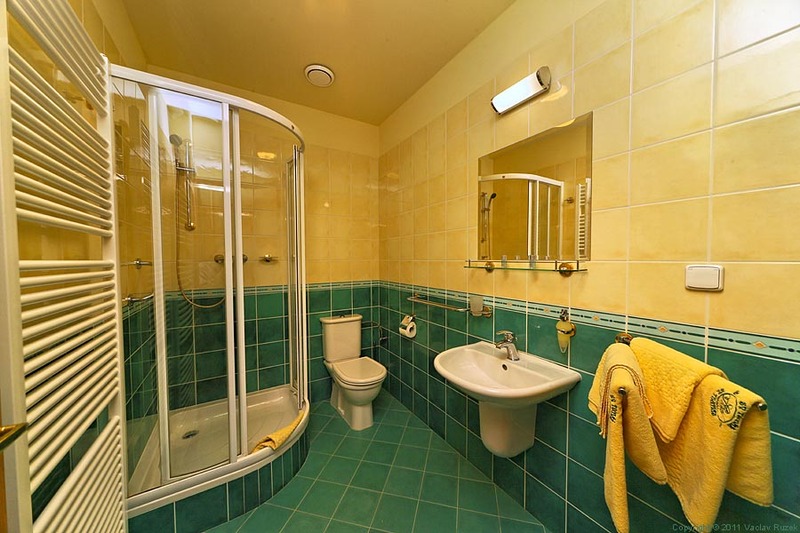 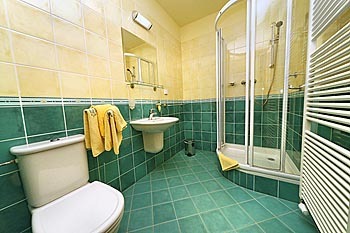 All rooms in the Hotel St. Thomas are equipped with a bathroom and toilet, a satellite TV (section A), a phone with direct dial, a safe. Some rooms have mini-bars. Wi-fi signal in the hotel covers: Restaurant, Training room, Some rooms from section A and A3, A7,Resting area. 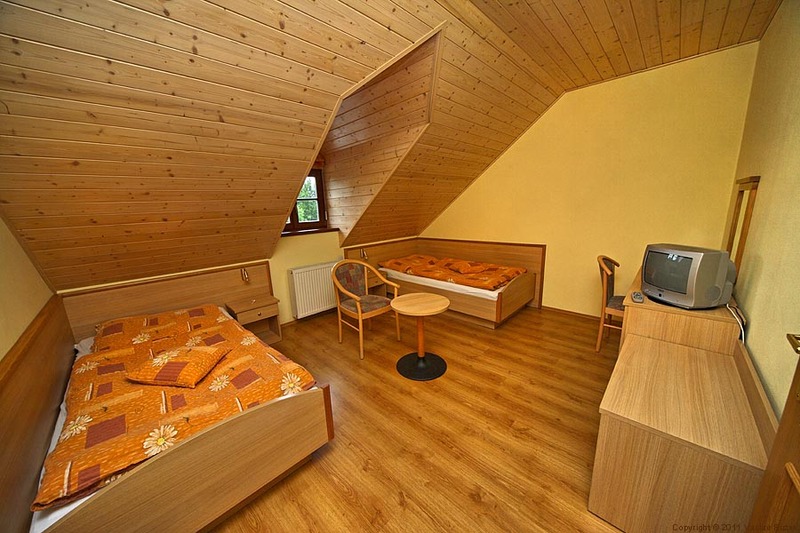 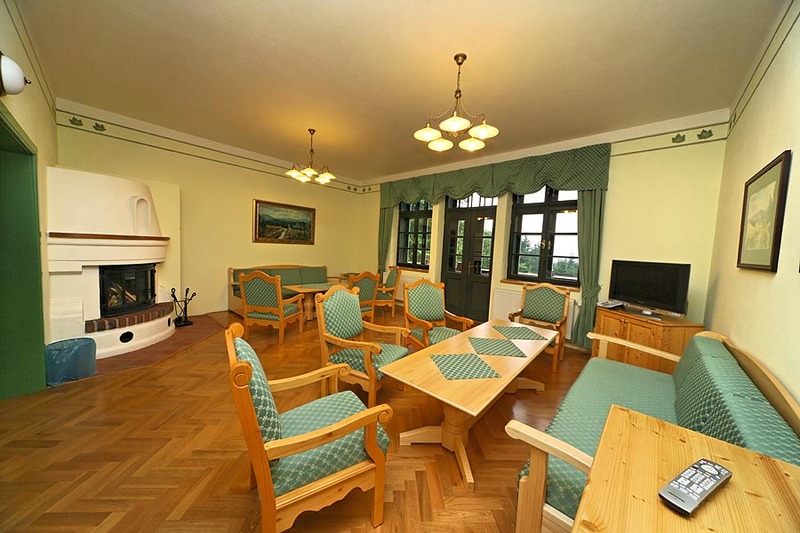 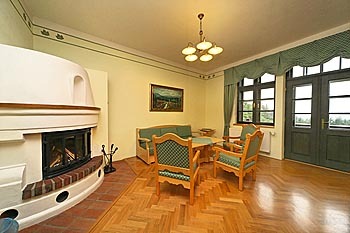 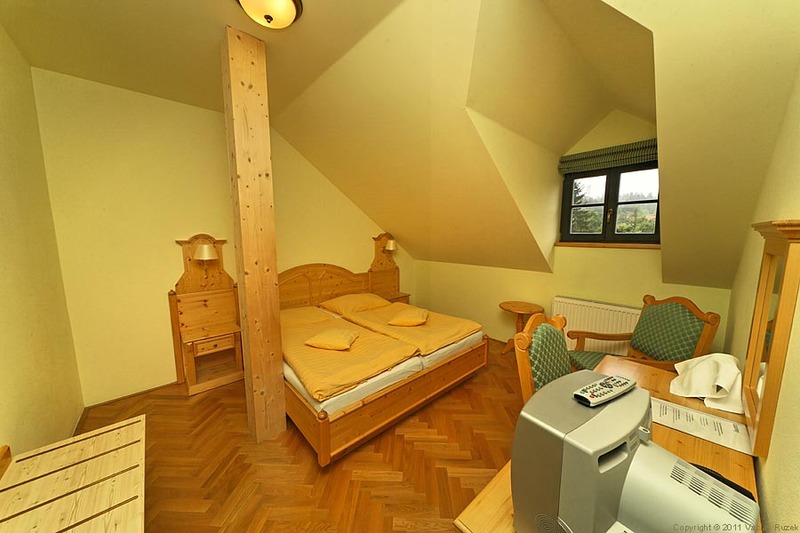 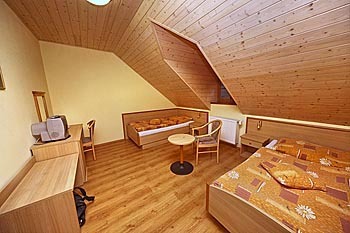 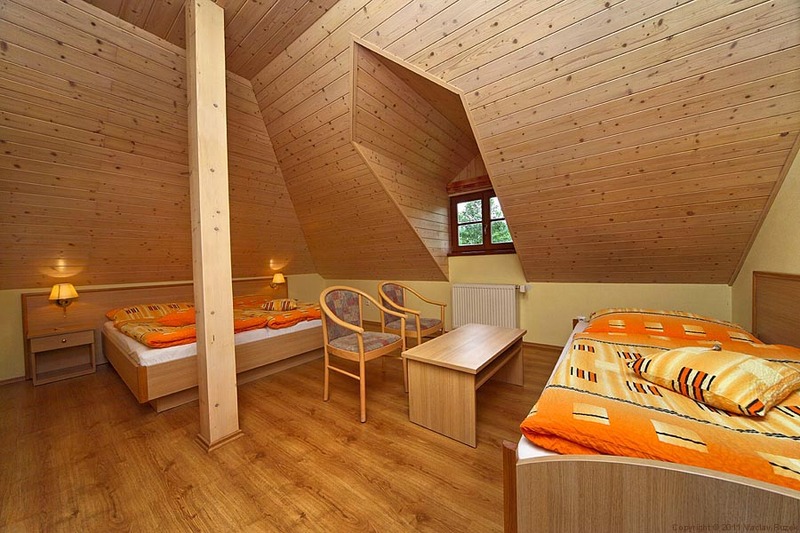 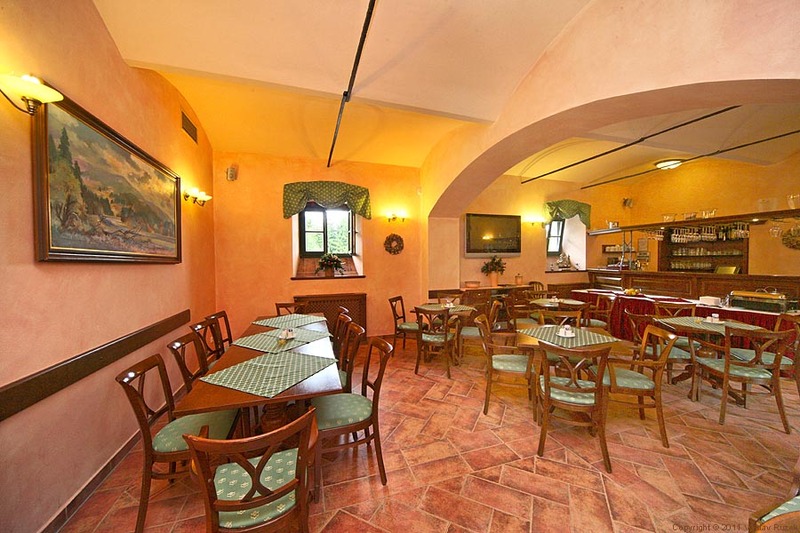 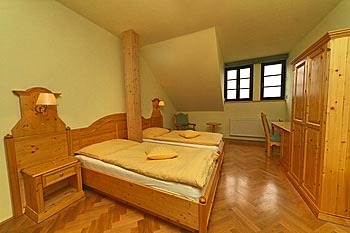 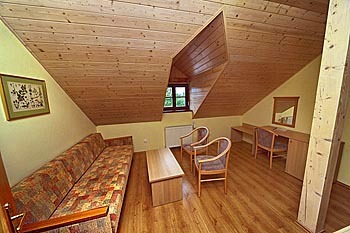 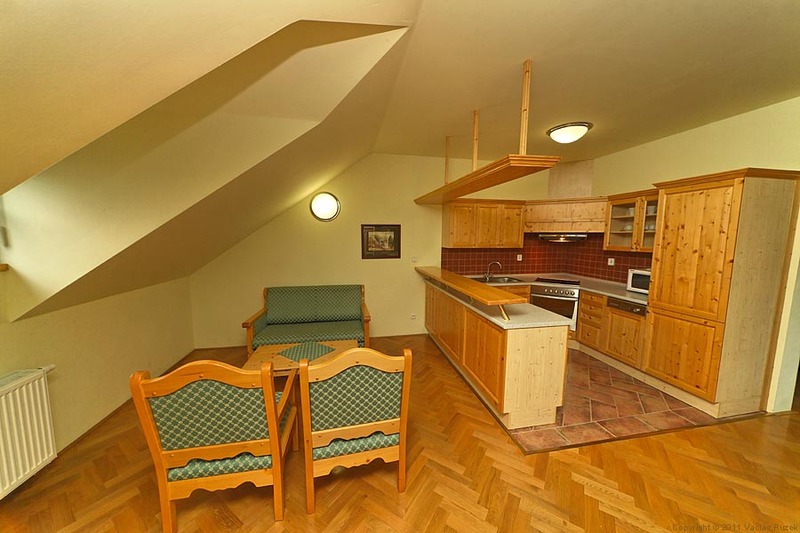 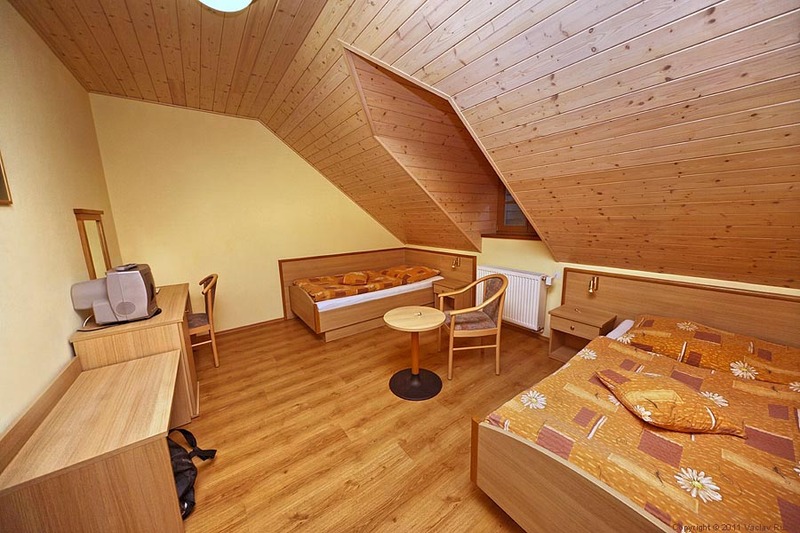 - Rental of the Alpine lounge with a fire-place and a balcony is also possible for rooms A5 and A6. 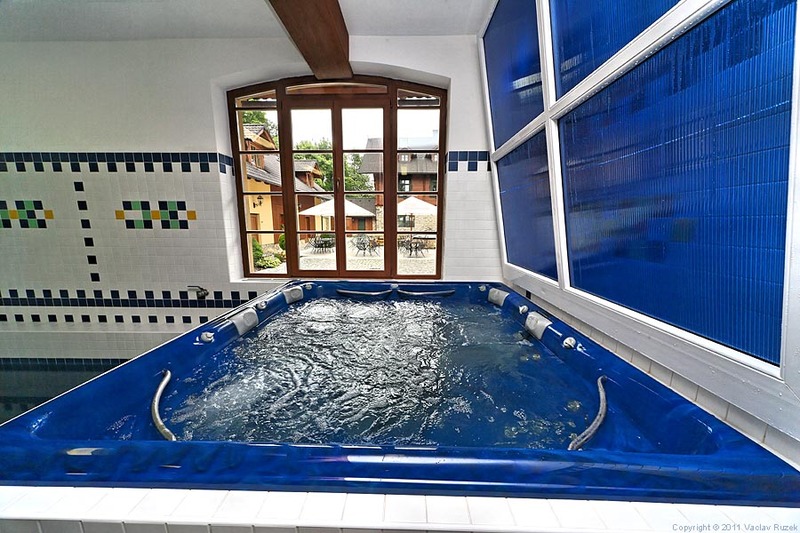 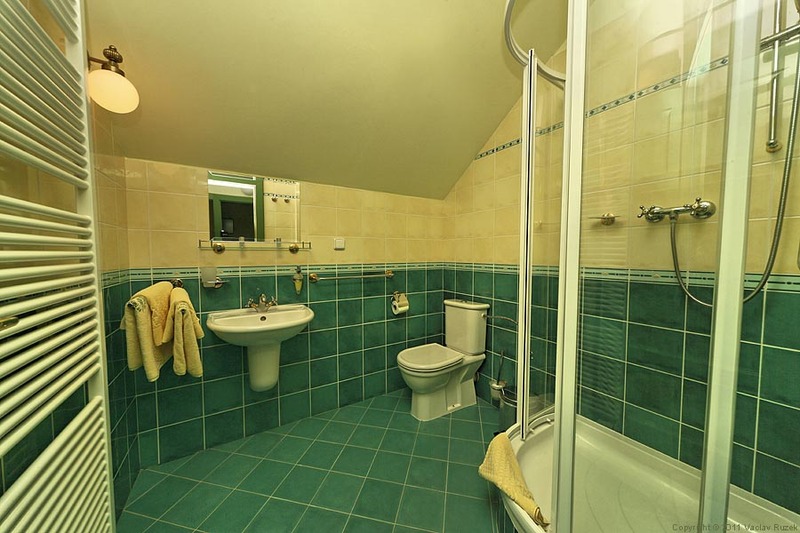 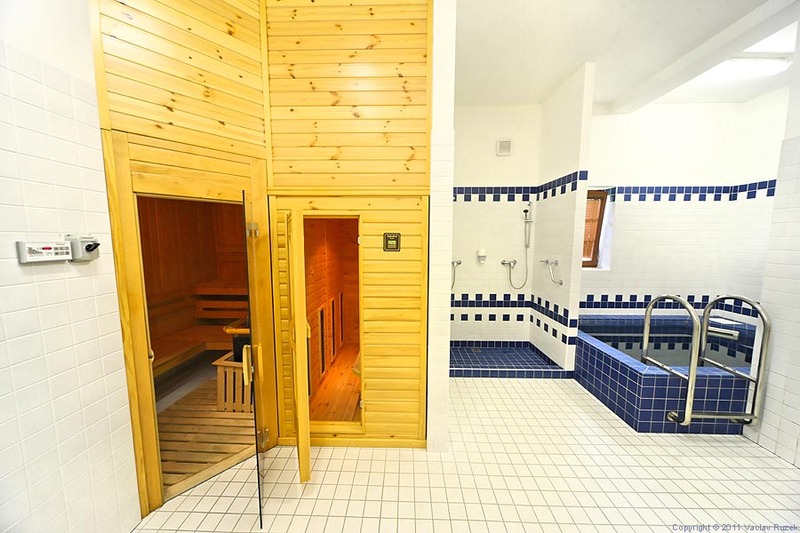 whirpool for 6 pers., sauna for 6 pers. 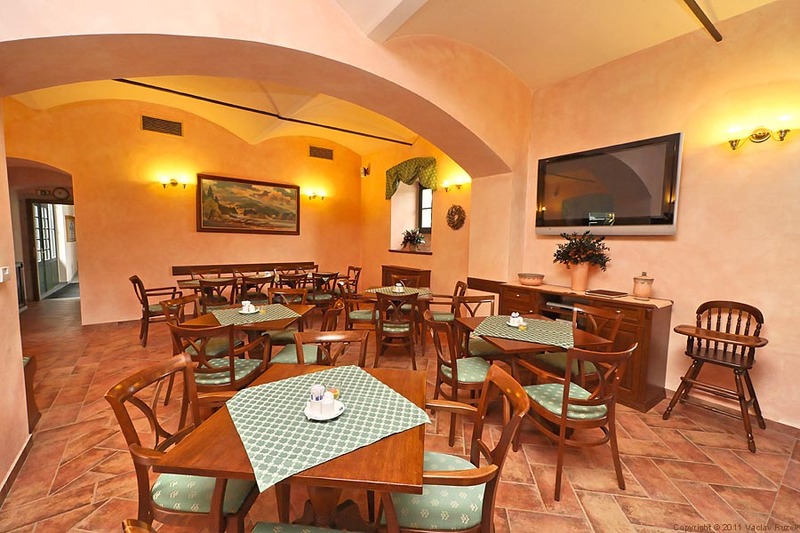 in wonderful, newly reconstructed hotel? 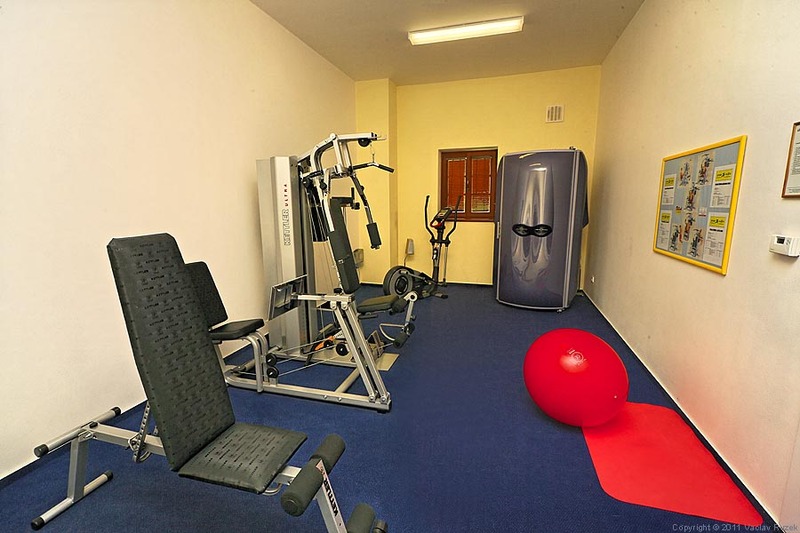 you will be acommodated in our special hotel with view of the Alps and Wellness Centre. 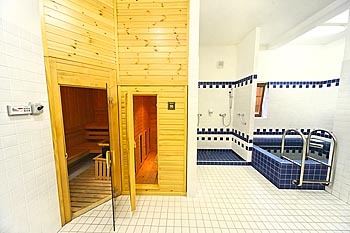 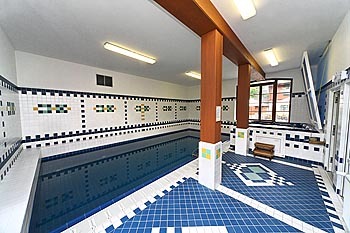 health spa services = swimming pool, infra sauna and a gym (for 45 minutes per person per day), local fee and VAT. Child 3 - 10 years: 50% discount. 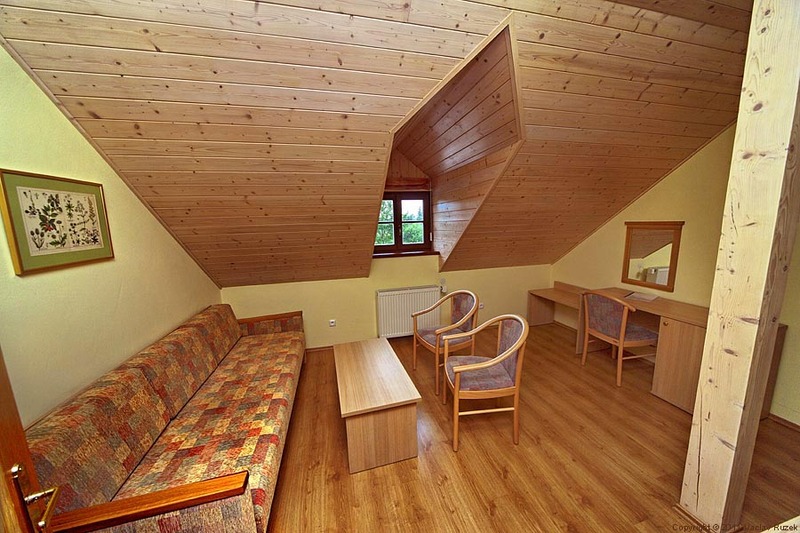 Apartment C5 for 4 pers. Apartment A1 for 4 pers. Apartment D1 for 4 pers. Presiden Apt A11 for 4 pers.